FEM MATEMÀTIQUES: This competition fosters cooperation between students in order to resolve mathematical puzzles and problems. This competition is unique in that it is as, or more, important, how the students present their results than the results themselves. The sixth grade team from Colegio Hatikva won this competition in 2015-2016 out of more than 3,500 participants. PANGEA: The PANGEA competition belongs to the Pangea Association which promotes participation in maths competitions as a tool to stimulate motivation and a love of learning maths. It is both a national and European competition. 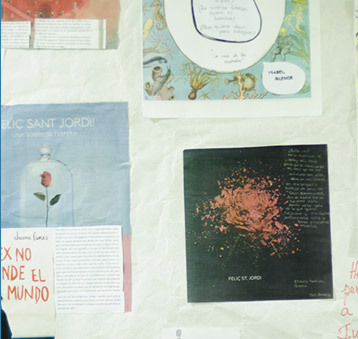 One of our sixth grade primary students was the winner for Catalunya and 3rd place at national level in 2015-2016. PROBLEMES A L’ESPRINT: A competition based in problem solving at the fastest rate with more than 200 schools in Catalunya competing against each other at the same time. FOTOGRAFÍA MATEMÁTICA: An annual internal competition in which students must take a mathematical context photo which combines the title with the content of the photograph. CONCURSO LITERARIO JOCS FLORALS: An internal literary competition in which students present stories and poems in Spanish, English, Catalan and Hebrew as part of the activities to celebrate World Book Day. In ESO students read at least three English books per academic year and they work on them in class in reading circles. In these reading circles the idea is to promote critical and participative reading (not passive) through active discussions of the text, the plot, the subtext and the relation between the book and everyday life. Students are actively involved and exchange roles giving them the opportunity to guide specific themes and also to participate in the discussion and analysis. These reading circles make the books come alive by being looked at from many points of view and students learn to appreciate stories with a new perspective. At Colegio Hatikva we believe that it is important to train our students in democratic life skills and a peaceful culture, for this reason one of the curricular areas is citizenship. One of the ways we implement citizenship is through the student government which can be defined as a student organization which participates in a positive and conscientious way in the different school activities, developing and strengthening their selfesteem, leadership skills, creativity and the ability to give opinions and respect the opinions of others within a true democratic framework. Students from 3rd and 4th ESO are chosen to have the responsibility of being the spokespeople of all the students in the school, promoting all type of activities and improvements that they consider appropriate, and as such, involving the whole student society in the running of the school. The school has an annual programme of exchanges, whose objectives are social, cultural and academic. Apart from encouraging friendship with students from other parts of the world and being in contact with Judaism in different communities, our students participate in an enriching programme which provides them with important and significant experiences. At the moment with have exchanges with schools in Madrid, London and Israel. 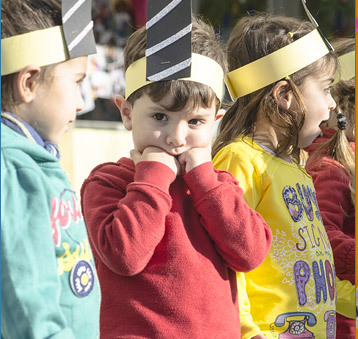 The Consell d’Infants is an advisory body made up of children between the ages of 10 to 12 who are studying in 5th and 6th grade in schools in Sant Cugat. The function of the Consell is to allow these children to share their view of the community and the reality of their surroundings to local politicians so that their opinions as citizens will be considered when new decisions have to be made which will affect them. It is an excellent means of encouraging social participation as the children are active individuals in society. At the same time, students learn to express themselves and learn how to debate. 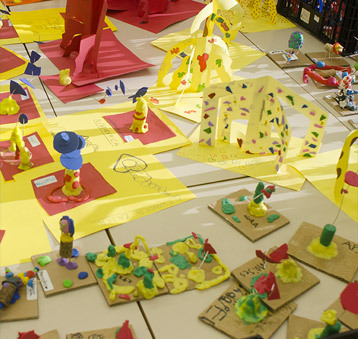 In ESO the teaching and learning system is delivered by the school’s participation in an innovative and didactic project which is backed by the Catalan Government Department of Education and in collaboration with the Autonomous University of Barcelona. The Reading Buddies project, which has been developed by the English Department, consists in an innovative teaching method to improve reading in English. On a fortnightly basis, primary students get together in small groups with secondary students to read stories and, as such, mutually help each other. This type of reading is done out of the classroom in open spaces in order to disconnect from the daily surroundings in the classroom. 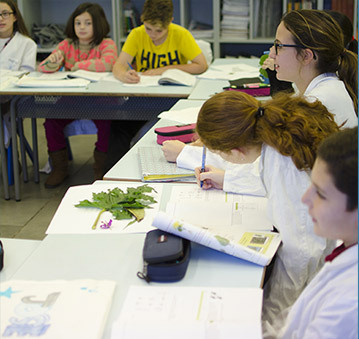 The voluntary programme of the school is run by students in 3rd ESO. Each year one or more organization is chosen for which the students must design, coordinate and carry out different activities with the aim of experiencing voluntary social work. 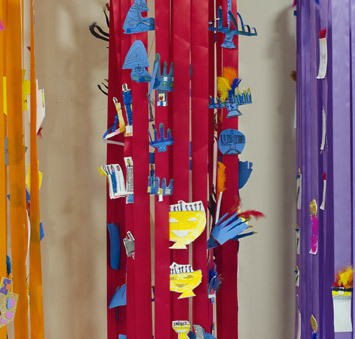 This ‘Big Brother’ project was designed by the school teachers in order to make the most of the very wide range of students included in nursery, infant, primary and secondary. 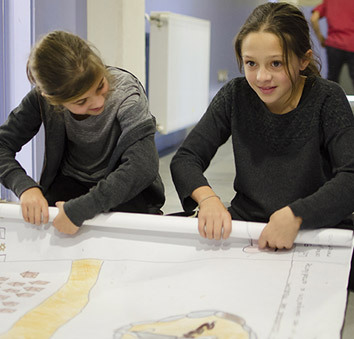 Secondary school students become the ‘brother or sister’ of a primary school class and together they do various recreational and educational activities. The local parent’s association (AMPA) collaborate with the school by promoting a range of activities. One example of this are the extracurricular activities proposed to further enhance new skills out of the school timetable. Sports activities, robotics and ballet are some of the most popular activities. There are also activities for adults designed to help parental participation in the school and to have an opportunity to socialize.